Sky News has updated its daytime and early evening lineup debuting two branded hours to inject more “personality” into the news channel. Anchor Kay Burley has relocated to mid-afternoon, now hosting a self-titled program from 2 to 5 p.m. London time. 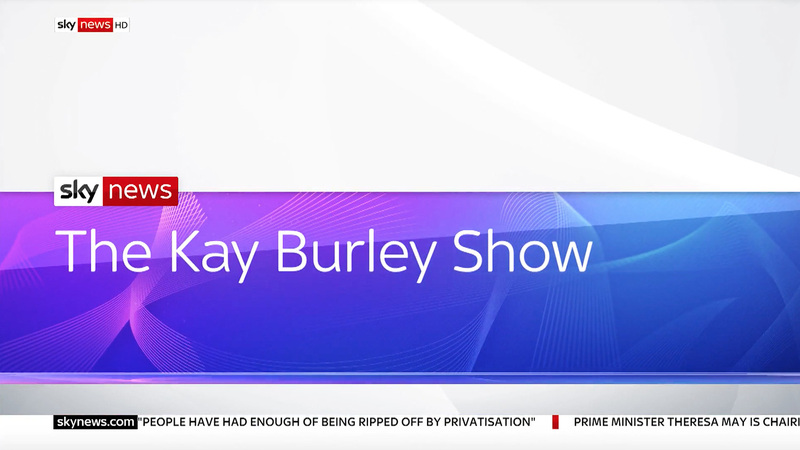 “The Kay Burley Show” aims to cover breaking news along with “quirky offbeat” stories and lively debate. Graphically, Burley’s program is using ribbons of abstract lined art mixed with a gradient of pink, purple and blue. Burley is a Sky News original, with the network since its launch almost 30 years ago. 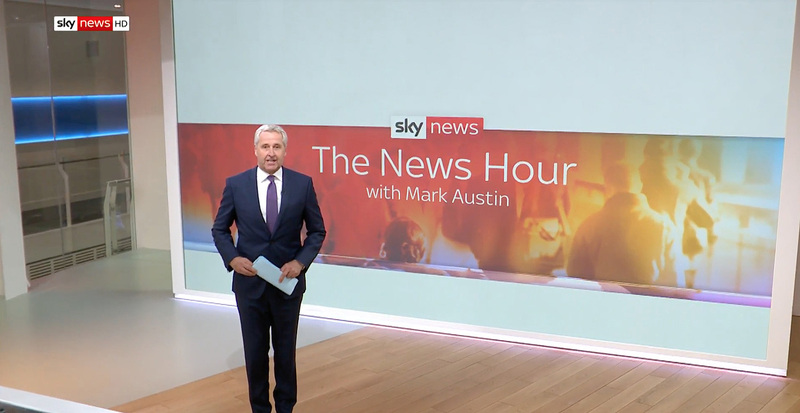 Sky also launched a new 5 p.m. newscast anchored by former U.S. correspondent Mark Austin, branded as “The News Hour.” The program recaps the day’s top stories with interviews and analysis from Sky News correspondents. 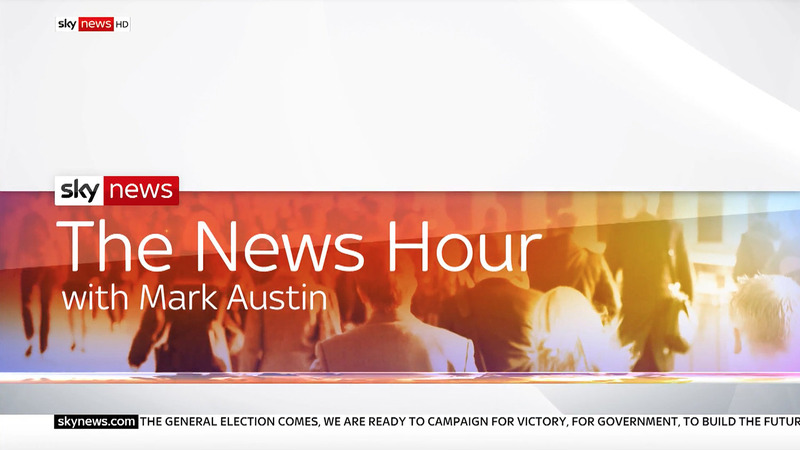 For “News Hour,” orange and yellow hues were mixed with footage of a busy street, representing the end of a workday. 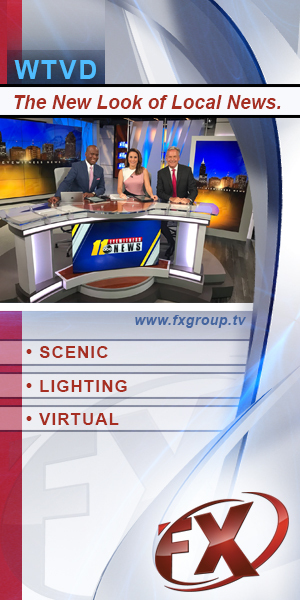 The program originates from Sky News Studio 21 at Sky Central, making full use of the large video wall. Both programs’ designs fall inside the standard Sky News template which includes a white wrapper with subtle overlays. Sky hopes the schedule changes create “appointment viewing” for its news coverage, similar to branded programs on other cable news outlets.